Euro started new correction. Possibly, price may rebound from level of 78.6%. 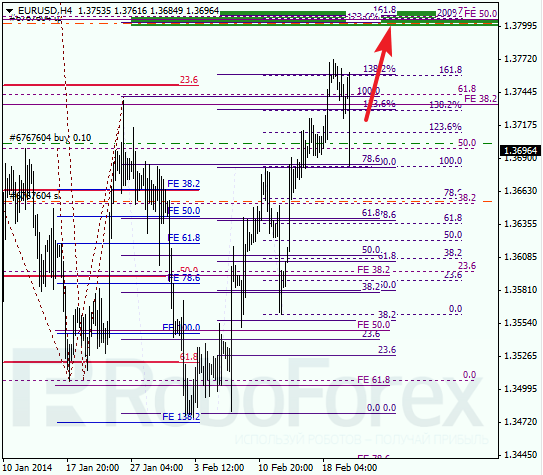 In this case, target will be again several upper fibo-levels near 1.3800. As we can see at H1 chart, current correction reached 38.2% level. Considering that market is moving inside temporary fibo-zone, price may rebound from above-mentioned level. I’ll increase my long position after price breaks level of 23.6%. Franc is also being corrected; earlier price wasn’t able to break one of intermediate levels. Stop on my orders is placed at local maximum. 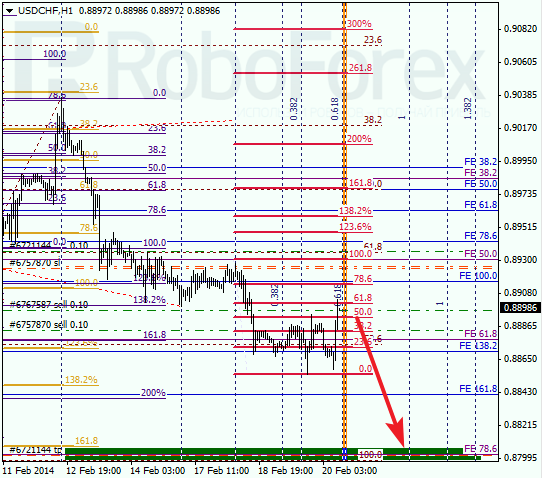 In the near term, instrument is expected to start falling down towards level of 0.8800. 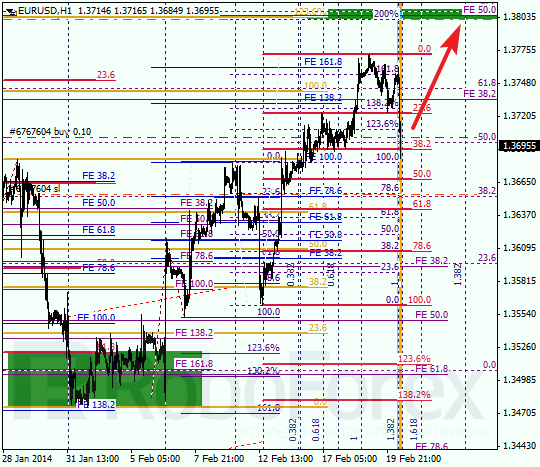 As we can see at H1 chart, bulls reached level of 61.8%. Considering that pair is moving inside temporary fibo-zone, price may rebound from this level. I’ll move stops to latest local maximum right after market starts moving downwards.